Max Collins marries Pancho Magno today, December 11, at the Manila Marriott Hotel. 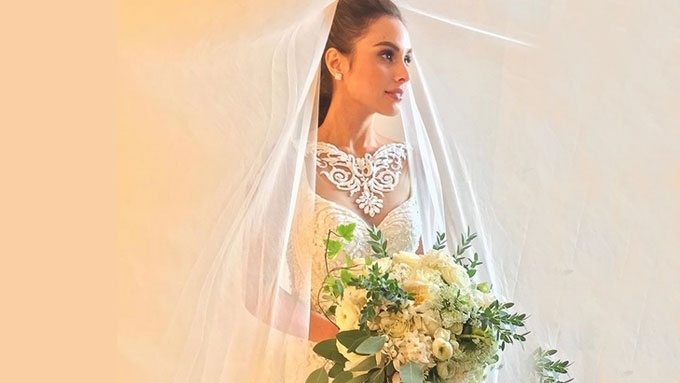 Max Collins looked ethereal in her beaded Francis Libiran wedding gown. The bride made a grand entrance at the grand ballroom of Manila Marriott Hotel. The choir sang the acoustic version of Bryan Adam’s "Heaven" as she tearfully walked down the aisle. Pancho Magno was just as emotional when he saw Max approaching the altar, shedding happy tears. Max and Pancho exchange vows today, Monday, December 11.